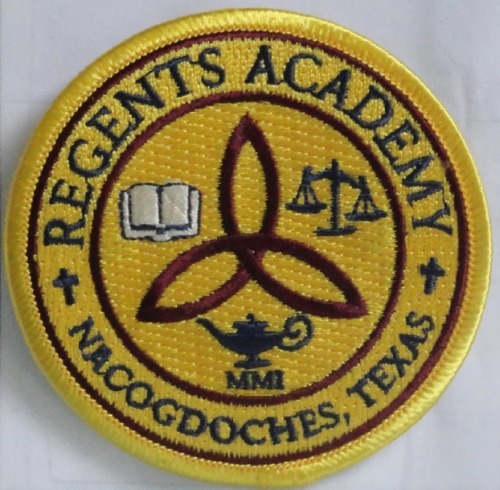 Students began wearing their new Regents crest patches on their blazers yesterday. 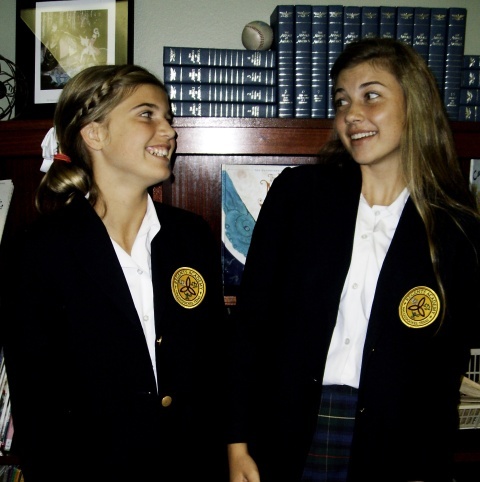 Emma Terrell and Kyla Alders model them below. At the center of the crest is the triquestra, traditional symbol for the Trinity, signifying that the Triune God is the center of our school. The lamp, book, and scales represent knowledge, understanding, and wisdom, which are biblical terms roughly synonymous with the three elements of the Trivium. “MMI” signifies the year Regents was founded: 2001. Twelve years later, we have 136 students, 25 staff members, 10 acres, and uncountable blessings from the Lord of Glory.